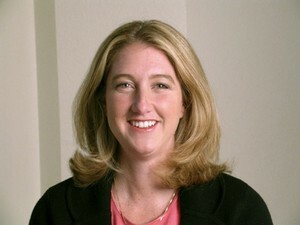 Former state Treasurer Cary Kennedy announced her resignation as the City and County of Denver’s Chief Financial Officer, yesterday, in order to join the consulting class. At first glance, this looks like just another politician ready to step through the revolving door to cash in on her years of service. The City was quick to reward her mediocre work with a big fat contract. Never mind that it comes on the heels of a scathing audit that faulted city officials for not keeping closer tabs on an organization that duped them out of $700,000. That’s a lot of money that wasted on Kennedy’s watch. To the keen observer, however, this move more likely indicates that Kennedy is actually gearing up for a gubernatorial run in 2018. It makes sense to quit her job now and start distancing herself from Denver’s liberal tax and spend policies. She can also collect “clients” who will retain her “services” in the hope that she is running the state some day. Publicly, she is still doing the “it’s too early” to commit dance. Yet, ever since she lost her re-election bid for Treasurer in 2010 to then-newcomer Walker Stapleton, Kennedy has been floating her name for governor. And she sure must be a glutton for punishment because the odds of going up against Stapleton again are pretty high. The only problem with Kennedy’s plan is that Coloradans aren’t known for letting their elected officials fail up. She may have been a rising star in the Democratic Party at one time, but that star went down in flames when she was booted out of office.